By the late-80s it seemed that the indie music scene had started its shift from its hugely eclectic post-punk roots of the late 70s and early 80s, when the Independent charts had first been established, into a specific and definable sound. The NME-cassette inspired C86 scene could be heralded as the beginning of this shift, with it’s emphasis on jangly guitars and power-pop. This shift would ultimately lead to the nadir of “landfill indie”, but at the time there was still enough pzazz, energy and inventiveness for it to be an interesting and vibrant scene. And even some glamour. Bands like Transvision Vamp (admitidly not on an indie label, but indie in spirit), The Darling Buds and The Primitives all combined that jangly power-pop sound with a striking peroxide-blonde female vocalist. A superficial commonality, maybe, but together they provided a pop / indie crossover that was refreshing in the late-80s, post-Live Aid music scene. Whilst not able to sustain a long-term career, while thesebands bloomed they brought a welcome sense of energy, fun and glamour to an indie scene that doesn’t always embrace some of those concepts. The Primitives I remember seeing in a thrilling gig in the late 80s at Southampton University. I remember being part of a seething, constantly churning crown who pogoed and slam-danced to a constant succession of short, sharp 2 minute pop songs with punk energy and style. Crash was the epitome of the bands repetoire, their biggest hit and the one song that has probably outlived their brief career. Opening with that jangly riff, it bursts into life with lead singer Tracey Tracey’s vocals and doesn’t give up its thrills until two-and-a-half minutes later, fading away on a trail of na-na-nahs. Long enough to get hooked, short enough to want to put it on again, this is the sound of pure adrenalin pop in my book. And so here’s the song sheet. As I’ve mentioned before these simple punk / new wave / indie three-chord pop songs seem to work really well on the uke, and this is no exception. The song sheet is simple and straightforward, just the chords (if you want to try transposing the guitar riff’s then you can find the guitar originals here!). I’ve also provided it in two keys – the original in B, but also a version in A which (a) is a little easier to play, and (b) I find easier to sing. Play with spirit and attitude, and enjoy! 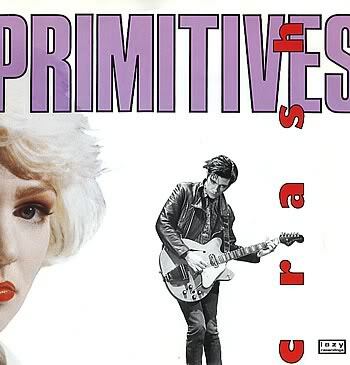 Categories: Indie, New Wave, Rock | Tags: 1980s, 1988, Indie, Rock, The Primitives, ukulele | Permalink. John Martyn may be renowned for his incredibly intracate, innovative and accomplished guitar playing. But he is also the writer of some simple, beautiful songs, and this is one of them (see also Over The Hill). 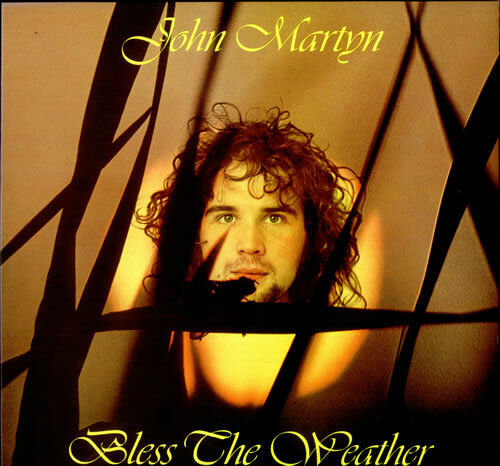 Taken from his 1971 album “Bless The Weather“, Just Now seems to be a song about growing up, about the friendships that shift, change and dissolve as we do so, but looking optimistically to a special friendship that he longs to return to. With a delicate balance of strummed guitar and piano chords, this song closed the first side of the album on a gorgeous, pensive note. The songsheet is a similarly simple affair. I’ve taken the key down from Eb to D just to make it (a) easier to play and (b) more comfortable for me to sing. Nothing much to add, really. This is just beautiful. Enjoy! Categories: Folk-Rock, Singer-Songwriter | Tags: 1970s, 1971, Folk-Rock, John Martyn, Singer-Songwriter, ukulele | Permalink.